One thing I've come to terms with when it comes to crockpot cooking, dump and go is ALWAYS best. Another thing...break rules! 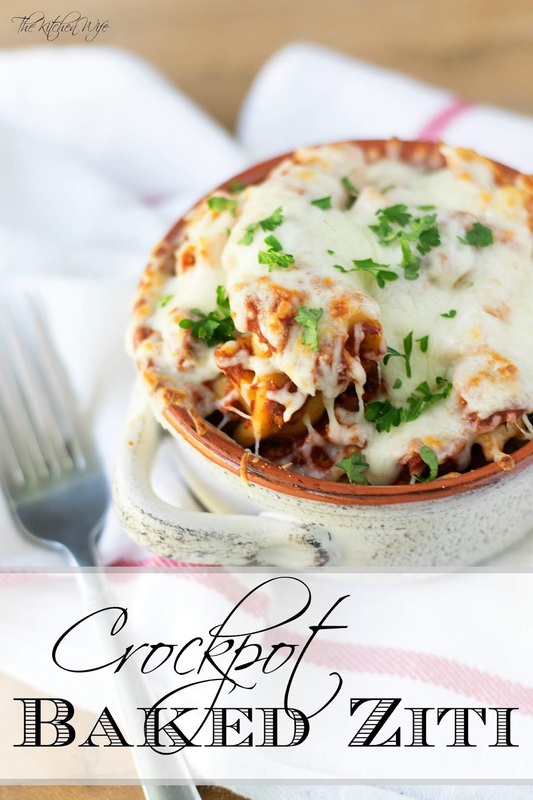 I took those two philosophies into consideration when creating this Crockpot Baked Ziti Recipe! To begin you will need to combine the ricotta cheese, eggs, a little parmesan, salt, pepper, and basil in a bowl. I didn't measure the parmesan, salt, or pepper. Just a little of each. Next you're going to mix that all together until it is smooth. After that you're going to add 1 JAR of the pasta sauce to the bottom of the crockpot along with HALF the can of tomato sauce and HALF the sugar. Top with a little chopped basil, again I didn't measure. Give that all a stir. Now you will pour HALF the box of ziti onto the sauce mixture. Dollop HALF the cheese mixture across the top of the pasta. Take a spoon a gently spread the cheese mixture over the pasta. Sprinkle on a little parmesan cheese as well as a HALF the shredded mozzarella. Repeat the layering process with the rest of the ingredients. 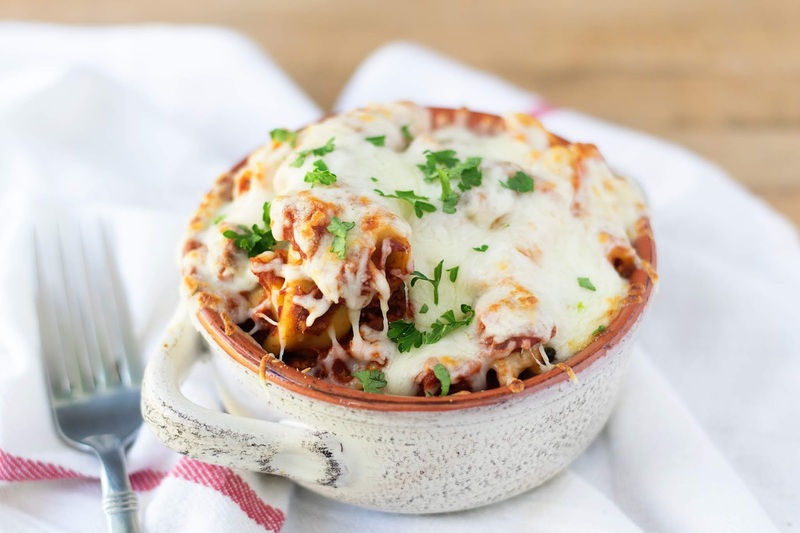 To cover the top of the Crockpot Baked Ziti with sauce, you will need to add a little water to both jars and pour over the cheese and pasta. Now cover the slow cooker and set on HIGH for 2 hours and 30 minutes. After 2 hours and 30 minutes your pasta will be fully cooked and your sauce rich and flavorful! Now you're going to add the rest of the shredded mozzarella cheese over the top of the pasta. Cover and let cook on HIGH for 30 more minutes. And now...NOW...the Crockpot Baked Ziti is finished. Time to plate it up! OOOOOOOOOO Look at the amazing cheesy goodness! 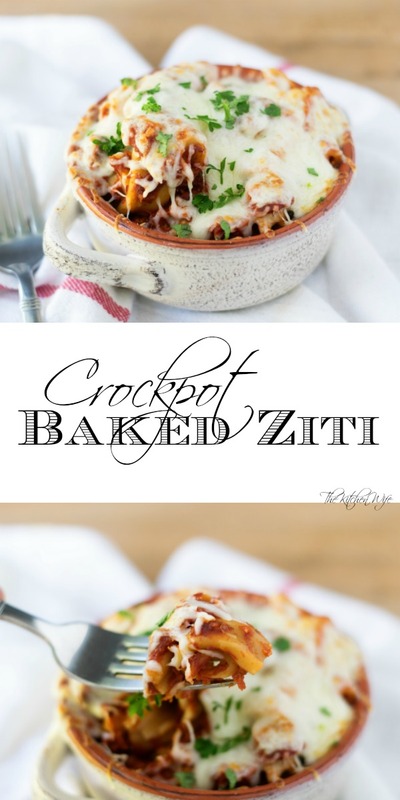 This Crockpot Baked Ziti is perfection! The pasta is perfectly cook, the sauce is full of flavor, and the cheese...praise God for cheese, am I right!?! I know you're going to love this Crockpot Bake Ziti Recipe so get in the kitchen and give it a try tonight! Combine the ricotta cheese, eggs, a little parmesan, salt, pepper, and basil in a bowl. I didn't measure the parmesan, salt, or pepper. Just a little of each. Add 1 JAR of the pasta sauce to the bottom of the crockpot along with HALF the can of tomato sauce and HALF the sugar. Top with a little chopped basil, again I didn't measure. Give it all a little stir. Pour HALF the box of ziti onto the sauce mixture. Dollop HALF the cheese mixture across the top of the pasta. 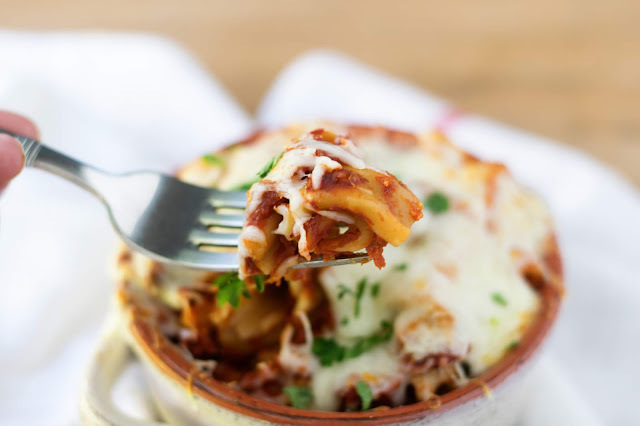 Take a spoon and spread the cheese mixture across the top of the pasta. Sprinkle a little Parmesan cheese over the top along with HALF the shredded mozzarella cheese. Cover the slow cooker and set on HIGH for 2 hours and 30 minutes. After the 2 hr and 30 min has elapsed, you will sprinkle the rest of the mozzarella cheese over the top. Cover and cook on HIGH for 30 more minutes.